Sometimes all we need is a helping hand. Six months ago the Neaves family was looking at a heap of hardships. 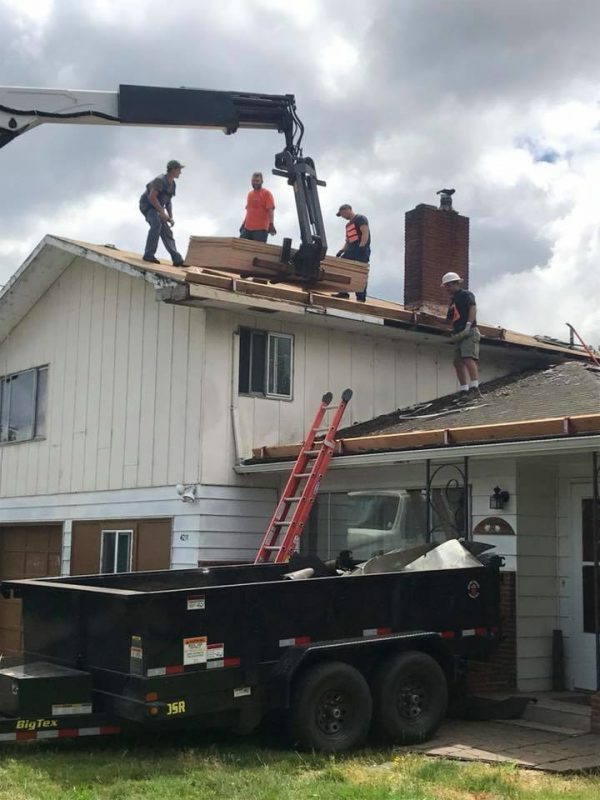 The loss of a job, facing foreclosure on their home, repossession workers coming to take the car and on top of everything, their roof was beginning to cave in. David Neaves, husband and father of five kids, is a Navy veteran who served 14 active duty years, including four deployments overseas and two years in Korea. While in the Navy, Neaves accumulated a variety of injuries including posttraumatic stress disorder (PTSD), that made everyday life much more difficult. David met his wife Renee in high school and married her shortly after. Ten days after their wedding day, David was deployed in the Navy and over the first eight years of their marriage, they only spent two years together. Fast-forward 27 years and the two are still together, living in Tillamook and their bond is stronger than ever. However, David said they faced tough times over the past two years, which led to his breaking point six months ago after he had lost his job due to his service related injuries. Facing a multitude of life’s challenges, David was called in by the United States Department of Veteran Affairs (VA) to evaluate his injuries after being 10 years removed from the Navy. During the evaluation, doctors asked him a variety of questions, which is when David said he emotionally broke down. But from that point on, everything seemed to change for the Neaves family. David was granted 100 percent VA disability, Renee has started a new job and David was able to finally take steps to getting back to his old self. As life began to find some stability for the Neaves family, they were still faced with the issue of the failing roof. A few months ago, David said his kids noticed water bubbling up behind the paint on the ceiling. The leak in the roof had gotten so bad that it seemed like it was raining in the house according to David. Knowing the issue needed to be addressed, the Neaves family was examining their options on how they would be able to afford the expensive project. 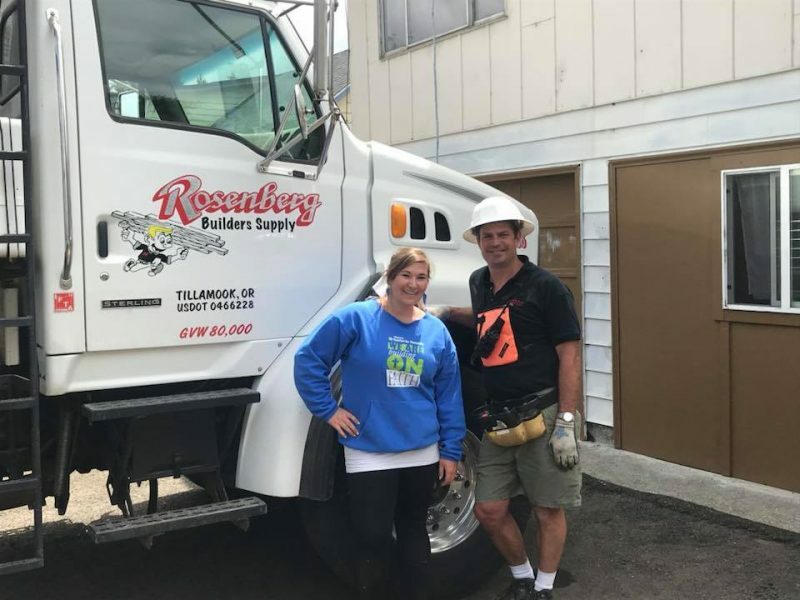 After being approached by a community member, the family learned about a Tillamook Habitat for Humanity program called Ramps and Rails, which supports seniors, people with disabilities and veterans. 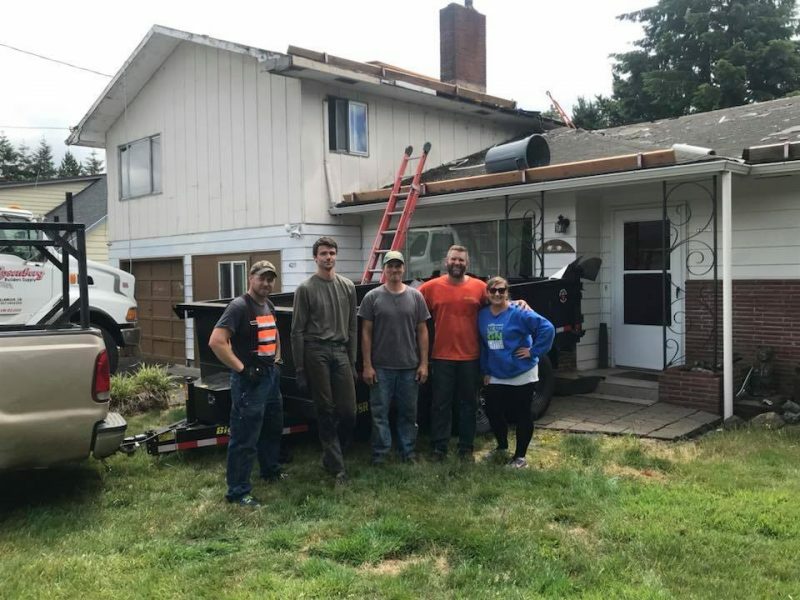 Thanks to the Ramps and Rails program, the Neaves family is able to get that roof replaced with the help of Jesse Denning Construction, Rosenburg Builders Supply and William Sheet Metal Works, who donated an estimated $4,700 for the project. David said the planning for the new roof lasted about two months and that it would only take a week to replace the old one. 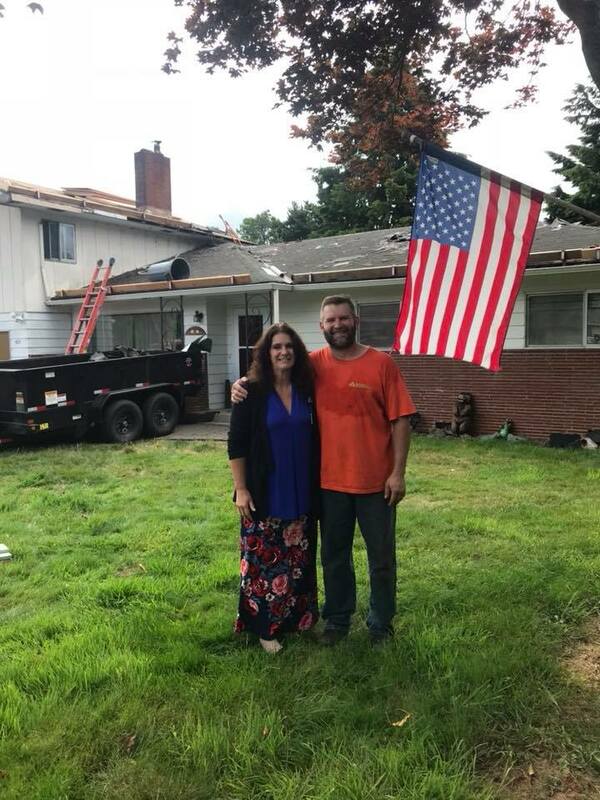 Despite being told they were accepted into the program, David and Renee both said they were trying to find out if there were other veterans out there who might have more of a need.